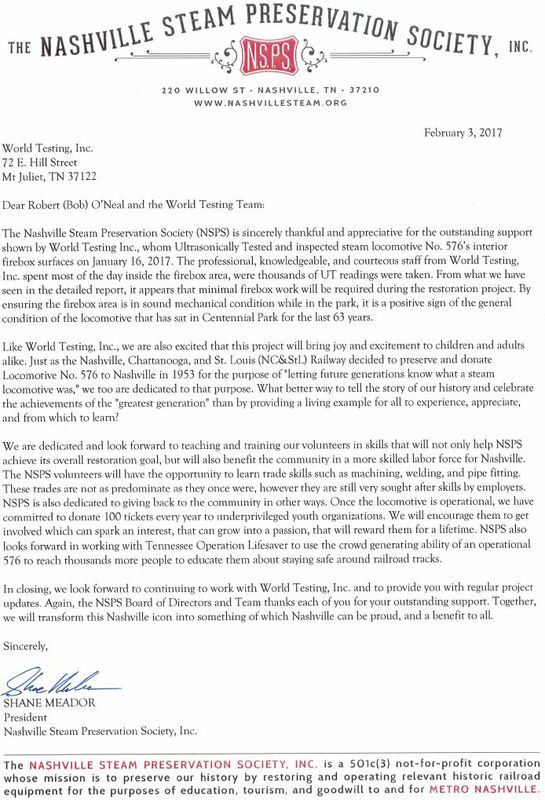 World Testing, Inc. - NDT Since 1980. Expect. Inspect. You have heard the expression, "You get what you pay for." At World Testing, we believe that holds just as true for your building or fabrication project, and we want to help you ensure that you get what you pay for. That's why we've added the "Expect. Inspect." tagline to our logo. "You may not get what YOU Expect, unless WE Inspect." While a lot of things have changed through the years, one thing remains. You can count on World Testing for best-in-class service for all of your NDT needs. "You may not get what YOU Exp﻿ect, unless WE Inspect."